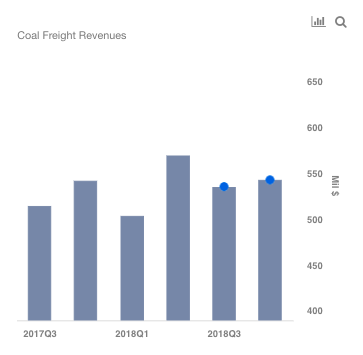 CSX Corporation (NASDAQ:CSX) is set to release its Q3 financial performance on October 16, and we expect the company to post steady growth led by coal and the intermodal freight segment. The company saw a record low operating ratio of 58.6% in the previous quarter, as it effectively managed its costs. We expect this trend to continue in Q3 as well, and aid the bottom line. Overall, we estimate the company to post $3.20 adjusted EPS for the full year 2018. 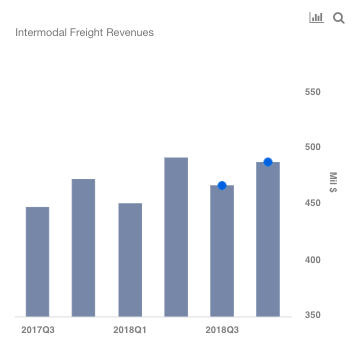 We have created an interactive dashboard analysis ~ What Is The Q3 Outlook For CSX Corporation. 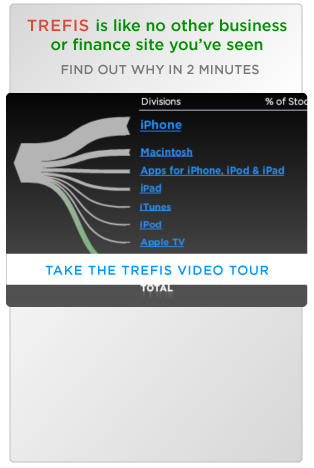 You can adjust the revenue and margin drivers to see the impact on the company’s earnings, and price estimate. Below we discuss some of the key segments which could see growth in Q3. We expect CSX’s coal freight revenues to grow in mid-single digits led by both volume and price gains. While we expect domestic coal volume to continue to decline, export volume should see significant growth, similar to the trend seen in the recent quarters. In fact, export coal revenues grew 30% in H1 2018, while the domestic coal revenues declined 13% during the same period. The U.S. coal export is seeing growth due to a rise in global benchmark coal prices. This has supported the demand for U.S. coal, and this trend will likely continue in the near term. The U.S. coal exports were up 30% to 70.5 mmt in the first eight months of 2018, and they could total over 105 mmt for the full year, marking the highest level since 2012. This should bode well for the railroad companies. However, for the full year we forecast only a low single digit growth in the coal freight revenues, given that the overall coal production in the U.S. is expected to see modest decline in 2018, given the domestic coal consumption could see a 2% dip, according to EIA. 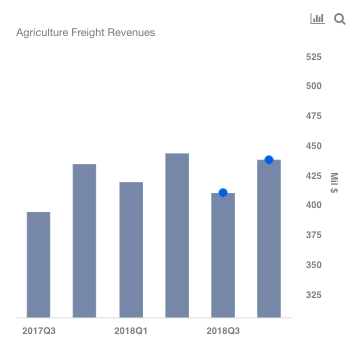 Within Merchandise segment, agriculture & food products, and fertilizers have seen freight revenue decline in the first half of 2018, primarily led by lower volume. While the fertilizer freight decline can be attributed to closure of a facility in Q4 2017, agriculture & food products volume was impacted by the trends in the ethanol market, which has had a poor first half amid weakening biofuel mandate. While this trend could continue in Q3, the ethanol exports and the grain exports may offset these declines. Also, recently the Trump administration announced the increased use of ethanol in gasoline, which should bode well for the industry at large. Looking at pricing, it should see growth for most of the segments, as higher crude oil prices will result in higher fuel surcharges for the company. The Brent crude is currently trading around $80 per barrel, and there are reports suggesting it could move even higher towards $100 a barrel in the coming months. We expect mid-single digit growth for the company’s intermodal freight revenues. The segment is seeing steady growth in both volume and pricing of late, due to the capacity constraints in the trucking industry. The ELD (electronic logging device) mandate being fully implemented, has led to shortage of drivers. The U.S. economy could add around 55,000 new trucks, subject to availability of trucks and drivers, to keep up with the current demand, according to a research report. Given the driver shortage, railroads are benefiting as manufacturers look for other transportation avenues. Q3 and Q4 in particular will be important for the railroad companies, as it is the peak season for manufacturers preparing for the December holidays.